the sturdy Pilgrim band whose courage never ceased." 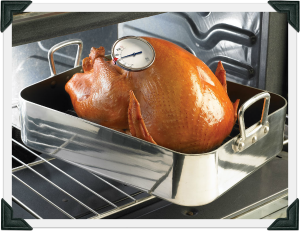 NOTE: Turkey meat will be safely cooked when the internal temperature reaches 165° F; however, the meat may still be slightly pink. Some people prefer cooking turkey to a higher temperature (whole turkey to 180°F in the innermost part of the thigh; turkey breasts to 170° F in the thickest part) for meat that is more well done. For additional reasons turkey meat can be pink, go to this FSIS-USDA Fact Sheet. →Return to "quick links to specific sections"
The hotline will be staffed with food safety specialists on Thanksgiving Day from 8 a.m. to 2 p.m. Eastern Time to answer your turkey questions. For food safety questions year round, you may speak with a food safety specialist — in English or Spanish — from 10:00 a.m. to 4:00 p.m. Eastern time on weekdays. Every facet of getting a turkey from the store to the dinner table is included — buying fresh vs. frozen, safe thawing methods, stuffing, roasting, storing leftover turkey, and reheating the leftovers. Read this before you stuff a turkey!!! A turkey will cook faster in an oven bag with less cleanup afterwards. Directions for specific oven bags are included when you purchase an oven bag. 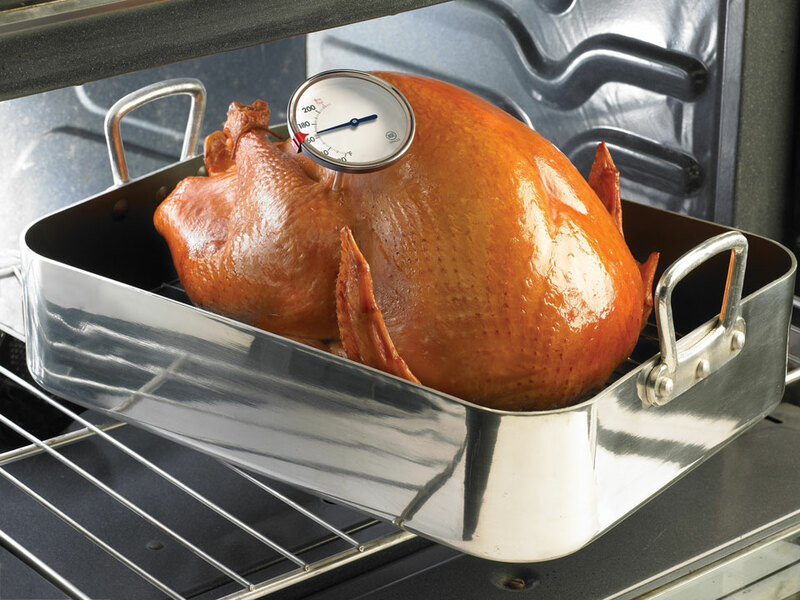 NOTE: A thermometer can be inserted through a hole in the oven bag so you can tell when your turkey reaches 165 degrees. Turkey preparation methods other than the traditional method of roasting a turkey in the oven are described: using electric roaster oven, grilling (using a covered charcoal grill and covered gas grill, smoking a turkey, deep fat frying a turkey, microwaving a turkey and cooking turkey in a pressure cooker). Details and tips for preparing your turkey a day before serving it. Learn the difference between different types of food thermometers and how to use them. Tips for setting out food safely at holiday buffets. 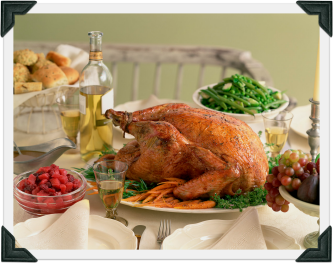 Before you cook the turkey, set up the buffet, or start making holiday goodies, see how you do on this holiday food safety quiz, based on information from the USDA and the Food and Drug Administration. It may be easier and less intimidating to carve a turkey in the kitchen than at the dining table. This brochure includes step by step instructions for both methods. Several recipes using turkey meat are given. Try breaking them up by whisking the gravy vigorously with a wire whisk. Pour the gravy through a mesh strainer. As a last resort, try pureeing the gravy in a blender or food processor or dip an immersion blender into the gravy to smooth it. Another possibility is to use an instantized flour, such as Wondra, that has been formulated so it doesn't lump. As a back-up, if you have never made gravy before, you may want to purchase some ready-made gravy in a can or or jar ... just in case. 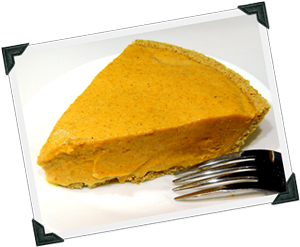 This pumpkin pie saves 100 calories per slice from the traditional version and tastes identical! This frozen pie can be made in advance and removed from the freezer on Thanksgiving Day. Recipes for making Chocolate Mocha Mousse, Custard or Cream Pies and Holiday Eggnog Safely with cooked eggs. If people are bringing food to a Thanksgiving meal, consider assigning foods based on how far they have to travel. 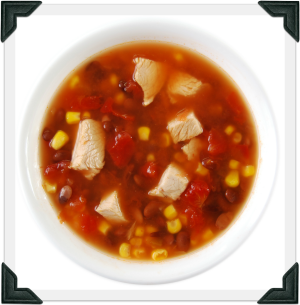 Give new life to turkey leftovers with these turkey soup recipes. They start with the same basic ingredients of 1 quart (4 cups) low sodium chicken broth and 2 cups of chopped, cooked turkey. Then, they're modified to reflect different flavor profiles. Enjoy turkey the day after and beyond by searching for delicious sandwich, entree, soup, salad and appetizer ideas. Holiday Food Hacks gives ways to make holiday food preparation easier or find creative ways to use leftovers. How to Have Your Thanksgiving Pie and Eat It Too! Tips so you aren't the one that gets stuffed on Thanksgiving Day!